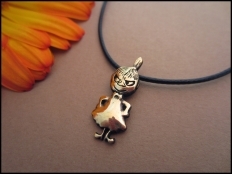 This is Little My necklace from the loved Moomin anime series. It is made from brass Comes with a.. 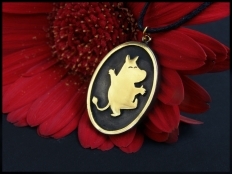 This is Moomin pendant from the lovely cartoon. Comes with a waxed string that can be adjusted. ..